Body Transformation: Troy McLaughlin Removed A 315-Pound Mountain Of Fat! Troy topped out at 525 pounds before realizing he had to overhaul his lifestyle or face serious consequences. See the amazing, four-year path he took to lose 315 pounds! I came from an overweight family and followed in their footsteps. I participated in track during my freshman and sophomore year of high school but weighed too much as a junior to participate. During my freshman year in gym class, I had to weigh in and saw the scale top out at 350 pounds. I was so ashamed and depressed that I started eating more. When I had a job and could drive at age 16, I started adding more fat at an alarming rate. By the time I graduated from high school, I weighed more than 400 pounds and couldn't fit into desks comfortably. I literally had to jam myself into desks every day and it was embarrassing. I went to college weighing more than 450 pounds and had a difficult time doing everyday activities like walking, tying my shoes, fitting into cars, and eating at restaurants because I couldn't fit into booths. During my first two years of college, I was unfocused on class and spent a majority of my time playing computer games like World of Warcraft. Between work, class, and the hours I spent in front of a computer screen, I never did anything but stuff my emotions down with food. When I turned 21 years old, I went out for my birthday, walked around to bars, and was sweating badly because my body was overworked from walking. It hit me hard that I needed to change or I would be bedridden with major health complications. One day after class, I stopped by a local gym to see what it was about. I had never been to a gym before and was intimidated. Luckily, there was a guy working there named Andy who knew I needed help and support to stay consistent. Andy started by having me walk and do light lifting. Sadly, I couldn't walk on the treadmill because it couldn't handle my weight. I ran into many obstacles with gym equipment because I couldn't fit into the machines. Fortunately, Andy found ways to work around my weight and keep me positive. I saw improvements in my physical abilities and felt good overall. I felt like I could actually change my life. I eventually bought a scale that registered more than 500 pounds. I saw 525 pounds the first time I stepped on the scale and couldn't believe it, but I was heading in the right direction. After working out for a few weeks, I focused on my diet so my gym time wasn't wasted. I started researching online, in magazines, and asked people at the gym for advice. I built a foundation of nutrition knowledge and implemented what I thought would help me lose weight the fastest. Unfortunately, I didn't use the safest methods. I worked out seven days per week for at least two hours per day and ate less than 1800 calories. I heard that eating low-carbohydrate diets was best for losing fat, so I ate less than 100 grams of carbs per day for months and saw great results. The fat was melting off and I felt good. I was working and going to school full-time and gave up computer games. I lost weight at a good pace and hit the small goals I set for myself. Before I knew it, I lost 100 pounds and couldn't be stopped. Everyone said I was obsessed with losing weight, but I had to be if I wanted to save my life. I never missed a workout and followed my meals. The weight kept coming off but slowed down as time went on. I hit bumps along the road, kept progressing, and never looked back. I thought I would be happy at 350 pounds, but when I got to 350 pounds I wasn't happy with how I looked or felt. My new goal became 250 pounds. "There were days when I thought about quitting, but I knew that I needed to continue if I wanted to reach my goals." I kept working out and eating with a purpose for years. In October of 2012, I hit a wall and couldn't lose weight no matter what I tried. I heard about John Otis Hollywood as a prep coach for bodybuilders and that he worked wonders for people. I shot John an email about my situation and goals in hope that he would help me even though I didn't intend to become a bodybuilder or compete. To my surprise, he responded within an hour and we sent emails back and forth about how he could help me. I hired John as my coach for 12 weeks. He asked for lots of information about me so he could understand my nutritional needs. John gave me a macronutrient plan to follow, a workout designed specifically for me, cardio protocols, and an Excel program to record my information for him to analyze. John and I built a solid relationship. His plans had me eat more healthy food and I was still able to lose weight. After 12 weeks, I was lean enough to be considered for skin removal surgery on my stomach and chest. I had the surgery to remove the skin in January and John was there for me throughout the recovery process. It took 10 weeks to come back from surgery and get into the gym. I slowly worked my way back and am now fully recovered and feeling great. John is still my coach and I recommend him to anyone who's serious about their fitness goals. I'm a different person mentally now. My family and friends say I'm much happier with life and more fun to be around. Lots of people say that I inspire them, but I still can't figure out why. I'm just a guy who needed to save his life and didn't let anything stop me from achieving my dreams. Troy was voted senior prom king in high school! I worked out seven days per week and followed a strict nutrition plan for years. I didn't eat enough calories at first but saw weight come off, so I continued to eat low amounts of calories. I got down to 350 pounds on my own and hit a wall. I needed professional help, and John helped guide me into a healthy lifestyle. There were days when I thought about quitting, but I knew that I needed to continue if I wanted to reach my goals. My inspiration came from within. I had a dream and goal to achieve. There was nothing that could stop me. I believe that nobody can help you if you don't want to help yourself. Setting macronutrient goals for the day worked best for me. That method allows me to enjoy tasty foods, which leads to a more balanced lifestyle. Lifting before cardio worked best for me. I currently follow John Otis Hollywood's Flash Routine that mixes strength and hypertrophy days split into push, pull, and leg days. "I want to become personal trainer for severely obese people and help save their lives." The diet challenged me most. I had an unhealthy relationship with food but worked through it and made daily progress. John is helpful for people with eating disorders. He's one of the best online coaches and is also a clinical psychologist. I had a hard time determining how much food I needed to eat to lose weight and still give my body the nutrients it needed. My future fitness plans are to add more muscle mass, get leaner, and help others change their lives and become happy like me. I want to become personal trainer for severely obese people and help save their lives. I know how hard it is to come out of a hole that deep. I would also like to become a motivational speaker and help people realize that they can achieve their dreams. Believe you can achieve your dreams and goals. Never let anyone say that you cannot do something. Surround yourself with a positive and helpful support team. There will always be obstacles, but you must keep striving toward your goals. 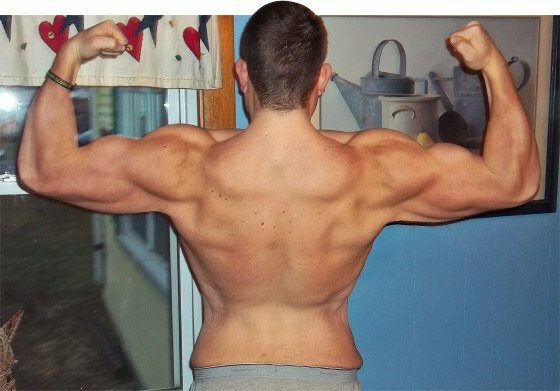 Bodybuilding.com helped me understand that supplements supplement a healthy nutrition and workout program. I've never been disappointed with Bodybuilding.com and always get great deals with top-notch customer service. 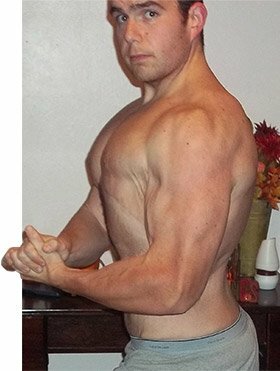 I recommend Bodybuilding.com to anyone who wants to purchase supplements or workout gear.